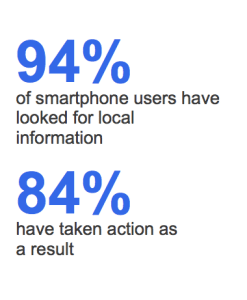 Google Mobile Friendly Update - Are You Prepared? You already have a mobile friendly site? Better be sure of that! On April 21, 2015 Google’s mobile ranking factors will kick in. Those who do not have a mobile friendly site will begin to see a “significant impact” in their search results, according to Google. This roll out will happen over the course of a week and will be a “Yes/No” on whether your site is mobile-friendly or not, there are no degrees of mobile-friendliness in this algorithm. Mobile is something we all should have been paying attention to anyway. 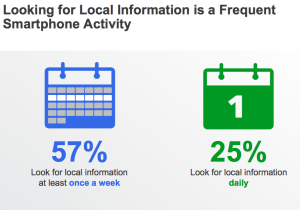 According to a survey sponsored by Google and Ipsos MediaCT, smartphones have become an indispensable part of our daily lives. Smartphone penetration has risen to 56% of the population, and Smartphone owners are becoming increasingly reliant on their devices. In 2013, it was reported that 67% of smartphone users accessed the internet everyday on their phone and most never leave home without it. These number have undoubtedly risen. 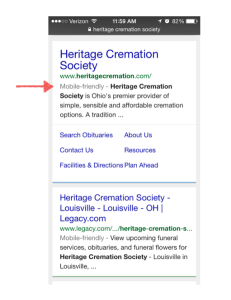 Google is now stepping up the game with this update by ‘requiring’ businesses to have a mobile friendly website to be found in mobile search results. And it makes sense: Google wants to deliver results that their users can be happy using. As a business, you should have the same goal! Make your site easy for people use, and they will use it. To be clear, this will mostly likely only affect non-branded searches done through Google on your browser or the Google App. Those searching for branded terms will likely not see any changes in the results. Our smartphones allow us to research anything, anywhere. The moment an idea crosses our mind we can pull out our phone and begin the process of getting “more input.” Statics tells us that 94% of smartphone users have looked for local information on their device, and 57% of these users do it once a week, with a whopping 25% doing it every day. 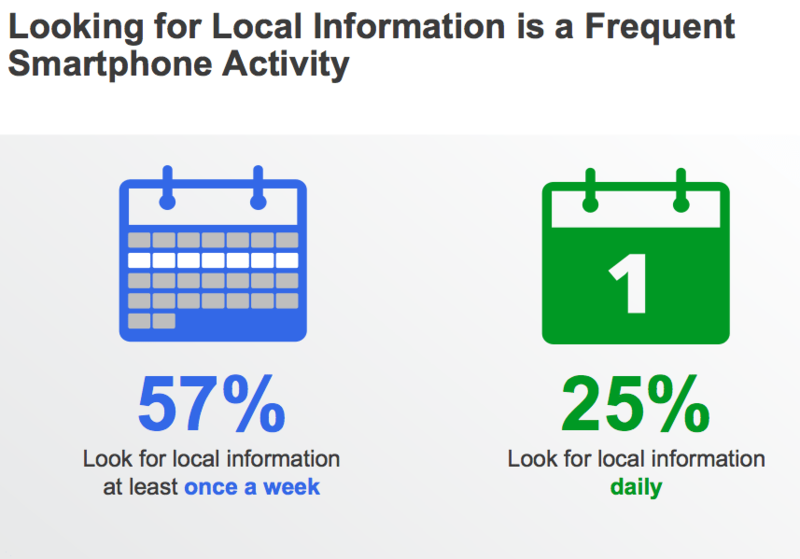 Being optimized for local search is a key part of being found. So how do you make sure you’re ready for April 21st? Usually updates come up with little or no notice, but Google said it wanted sites to prepare; so, you have some time to make your website mobile-friendly which is a big benefit for business owners. Assuming you have a mobile site already some of the usability issues can be quickly fixed to comply with what Google is looking for. We do offer web design services that can quickly identify any issues, and affordably provide you with a solution. If you don’t have a mobile site at all, we can help with that too. 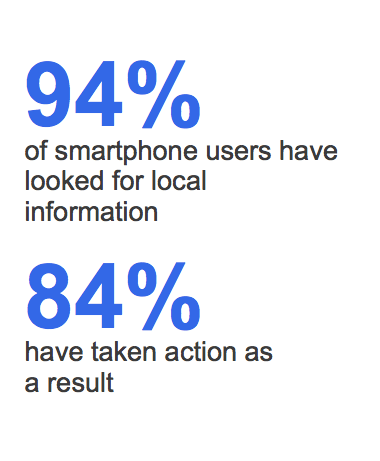 Knowing if your site is mobile friendly or not can be done by simply doing a search for your site on your smartphone. Since late last year, Google has been using a ‘mobile friendly’ label on sites which it has identified as being such. If the site does not have this label, then that means it has not passed the test, and there’s a strong possibility it will be affected by the update. Identifying the issues that are keeping the site from being mobile friendly can be done quickly with a few tools Google provides. Each one of these tools offers varying features and should be used in tandem to assess current issues with usability. Google Webmaster tools will give you the specific items Google is looking for and alert you if the site is not in compliance. It’s also important to understand the potential impact on traffic, which is why I suggest looking at current mobile traffic. Understanding how these mobile visitors are getting to the site and what they do while they are on it will help in making decisions on improving the usability. Identifying landing pages, exit pages, and other metrics will provide information on hurdles users faces and potential areas of improvement. Site validation: Validate your site with Google’s mobile friendly test tool. It’s important that all the elements of your site are crawlable. Current user behavior: Google Analytics provides a wealth of information on mobile users. Identify how they enter your site, where they land, what they do and where they convert. This information will help you understand any hurdles they are facing. Search appearance: Google Webmaster tools will show you what queries your pages are showing up for, what position they hold and which search results these users click. There are features with GWT that will alert you if Google finds usability issues and provide some guidance on the what to fix. As with most Google updates there tends to be a “freak out” moment where we wonder if we’re going to make the cut. Remember this one simple rule, one that I live by, Don’t optimize for Google! Optimize for the user. If your site is built with user experience at the forefront, then you have nothing to fear. My colleague Jackie Baker has written extensively about The Best SEO Strategy is Always About Your Customers (Not Google). Sanctuary Marketing Group is ready to assist businesses to make sure they don’t lose rankings and quality traffic on mobile searches after the change is made. Contact us at for a free consultation. ← Running a Sale This Spring? Create Urgency with This Sweet, New Tool! is - or isn't - doing for you.